Home security is a complex and multi-faceted thing. There are various methods, techniques, and devices that can ensure you are safe. These include practicing common sense safety habits but the key one is investing in an intercom which is a great monitoring tool. As far as general safety is concerned, intercoms are a great way to check on the people living in your home. If you have a young child, you can set up an intercom in your nursery or playroom so that you can listen in from another part of the house while your child is asleep or playing, even when you are working. And if something bad does happen, you will be alerted right away. 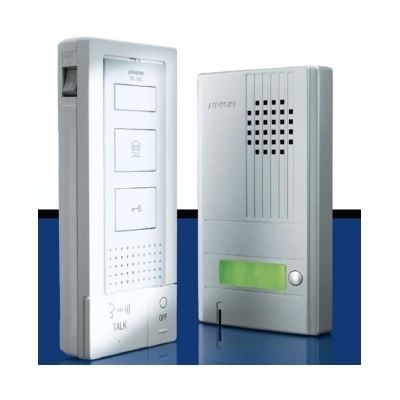 Intercoms are also great for guarding against intruders gaining access to your home. If you have an intercom at the front door, any time someone rings your bell, you can easily identify them and find out what they want before letting them inside. Just like other devices, they also need servicing and repair occasionally. This can only be done by experts and we specialize in installations, repairs,and servicing of all brands of intercom systems. Based in the Gold Coast area, we install/service all types of properties including homes, complexes, apartment buildings, offices, industrial buildings and that can be during the building process or in existing homes/buildings. High-quality intercom systems providing 24/7 secure access to your home. Audio and Video systems which can record when the call button is pushed so you can see who has been at your door/gate. IP intercom to your mobile. Intercoms can also be used internally in your home or office to communicate with someone in another room. Wireless intercoms that can work via your Wi-Fi and when the call button is pushed, it can be answered on your mobile phone allowing for communication with the person at your door even when you are not home. In big apartment buildings, you can control access into the building either at a gate or the lobby of the apartment complex. The intercom can be linked to the lifts in the building so that when the visitor is let in, it brings the lift down to them. Take control over your home/office security with our state-of-the-art intercoms system and see your visitors without even taking a step outside. Our servicing/repairing services are also available anytime you need them.